ABS Commerical and Amoretti present Beer Army Beer Wars in association with the North Carolina Homebrewers Alliance and the Beer Army Foundation. This commercial beer judging contest will be hosted in the heart of southern beer country - Charlotte, North Carolina at NoDA Brewing Company on 19 & 20 January 2019. This event is open to all commercial breweries, featuring the following ale and lager beer categories listed below. 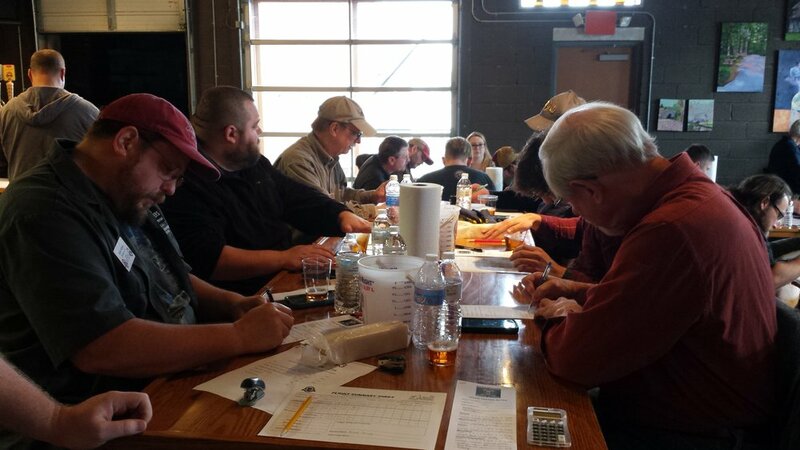 This is a Beer Judge Certification Program (BJCP) sanctioned event with all judging being done by BJCP certified judges and beer industry leaders. The 2015 BJCP guidelines will be used for judging and that guide is available here. Medals of Gold, Silver and Bronze will be awarded to the top three finishers in each beer judging category. Medalists will receive their medals and judging sheets in the mail within 4 weeks from the conclusion of the contest. All other competitors will have their judging sheets emailed to them. All medalists in attendance will be announced at the Jolly Skull Beer and Wine Festival going at the Greenville, NC Convention Center on 26 January 2019. All medalist will be posted on this webpage within 24 hours of Jolly Skull's conclusion. One brewery will be named Grand Champion who will be awarded a championship belt. Belt is made of genuine leather and is 52" long with 8 rows of heavy duty snaps. The main plate is 9 3/4" X 7", features brilliant polished gold plating and comes in a black satin lined presentation box. The ranking system for the overall Grand Champion is as follows: A brewery will receive points for each medal (Gold = 5, Silver = 3 and Bronze = 1) they are awarded. The brewery with the most points overall is the Beer Army Beer Wars Grand Champion. We will also provide a list naming the Top 10 winners. The winners will be promoted through national beer media. Registration goes from 15 August - 14 December 2018 with an entry fee of $55 per entry. Entry shipping/dropping off window is 3 - 10 January 2019 to/at NoDA Brewing Company, 2921 N Tryon St, Charlotte, NC 28206. You will find more information, details and be able to register for this contest by clicking on the Brewery Registration button below the Beer Wars logo above. Remember, ALL proceeds go to charity! More information will be forthcoming if you are volunteering and would like to be a judge or steward interested in participating in this event. Please download and share the Beer Army Beer Wars flyer below and ask your favorite brewery to compete today! Question: Is this event open to the public? Answer: No, it is not. Question: Do you only accept credit cards for payment via PayPal? Answer: Yes. This is currently the most convenient way for all parties involved to make and receive competition entry fees. It also reduces entry/submission errors. Question: What if my brewery is not distributed in North Carolina, can I still enter my beer in Beer Wars? Answer: Yes. Beers submitted to the Beer Wars competition are for testing, analysis, judging and not for sale or public consumption. Question: What type of containers are accepted? Answer: Capped or corked and caged bottles/cans from 12 oz all the way up to 32 oz containers will be accepted for judging. Anything larger to include 64 oz growlers will NOT be accepted for judging. Question: How much beer should I send? Answer: Each entry will consist of 4 (each), capped or corked and caged bottles/cans from 12 oz all the way up to 32 oz containers (only 3 needed if this size). Anything larger to include 64 oz growlers will NOT be accepted for judging. Bottles and any materials submitted will not be returned to contest entrants. Question: I've registered and paid my entry fees but have decided not to participate and/or send beer. Can I get a refund? Answer: No. This is a charitable fundraiser and we can't provide refunds. Any beer that you send will not be returned. 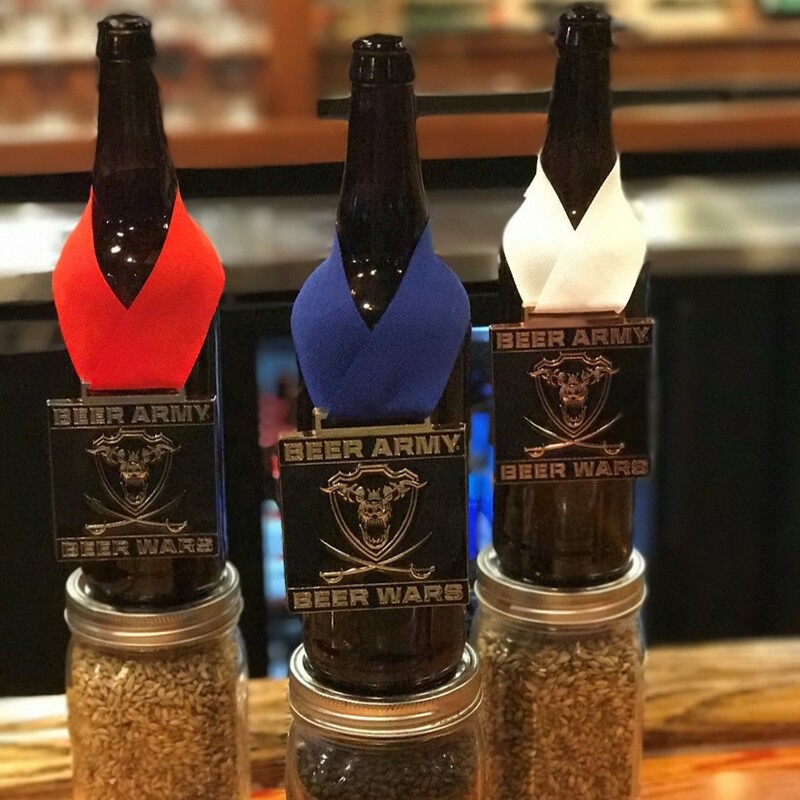 Did you and your brewery win a Beer Army Beer Wars medal? Congrats! Let the world know by downloading any of the high resolution medal images below and utilize them in the marketing and advertising of your accomplishment.